There’s nothing more refreshing than the aroma of fresh herbs when you step into your kitchen each morning. They fill your space with color, spring-time scents and give dishes an extra oomph of TASTY flavor! 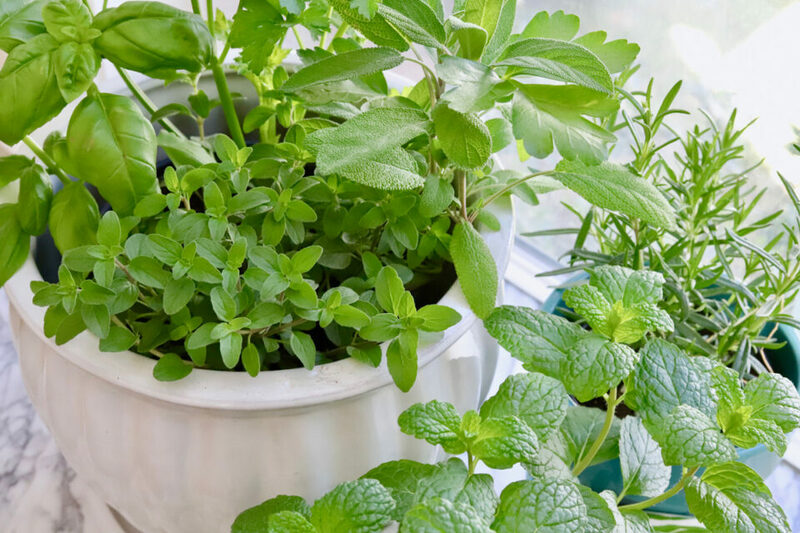 Here are a few tips to getting the most out of your kitchen herb garden. A good rule of thumb is to pick containers that allow for good drainage. Just about any type of container will work, even upcycled tin cans, as long as they drain well. Select vessels that are slightly bigger than the living plants, allowing enough room for the roots to grow. 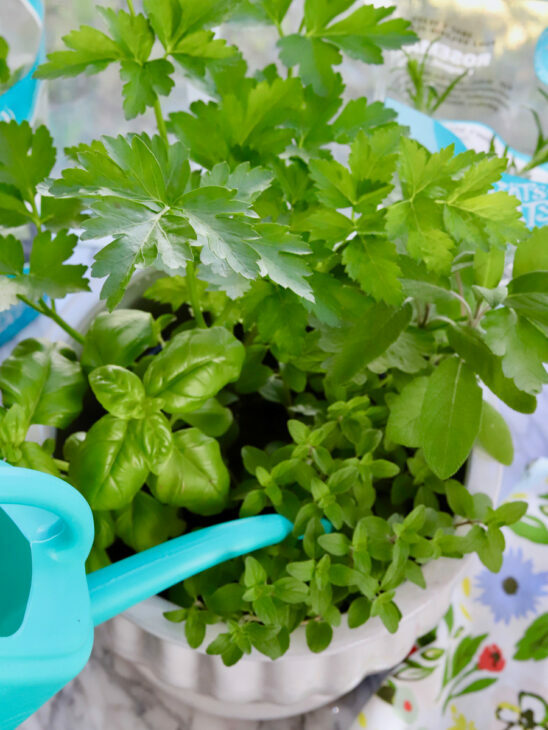 Some herbs prefer deeper containers, like basil and Italian parsley… so keep that in mind when transferring your plants out of their starter pots. A great option for larger containers is to arrange several plants next to one another. It’s the perfect way to create decorative, and edible, greenery in your home. Most of our living plants require similar living conditions, so let your creative juices flow and mix them up in the same pot! Do you throw yourself a Mexican fiesta at least once a week? Grab some cilantro, thyme, and mint (and make some Margaritas!). Are you a fan of Italian cooking? 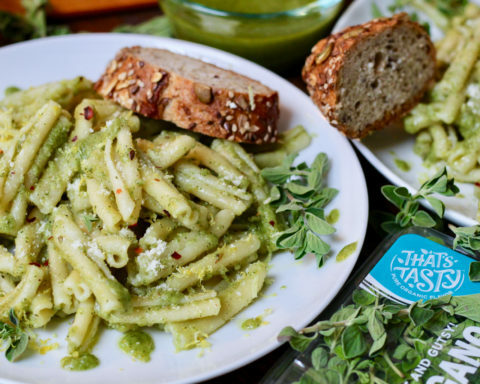 Create an indoor orchard filled with basil, parsley, oregano, and rosemary (and treat-yo-self to a hearty bowl of pasta). Herbs like a decent amount of sunshine so they can grow; and some varieties prefer more sunlight than others. 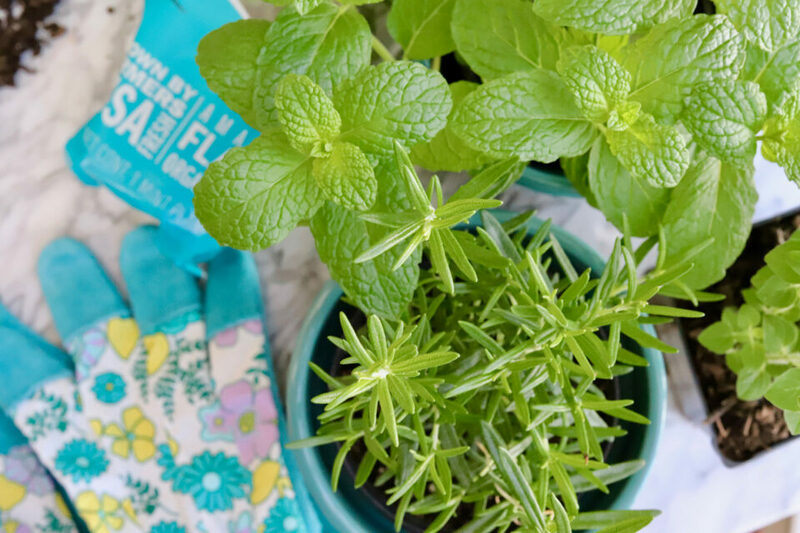 So, if you notice that Mr. Mint is not happy and thriving simply pick him up and move him to a sunnier window ceil. 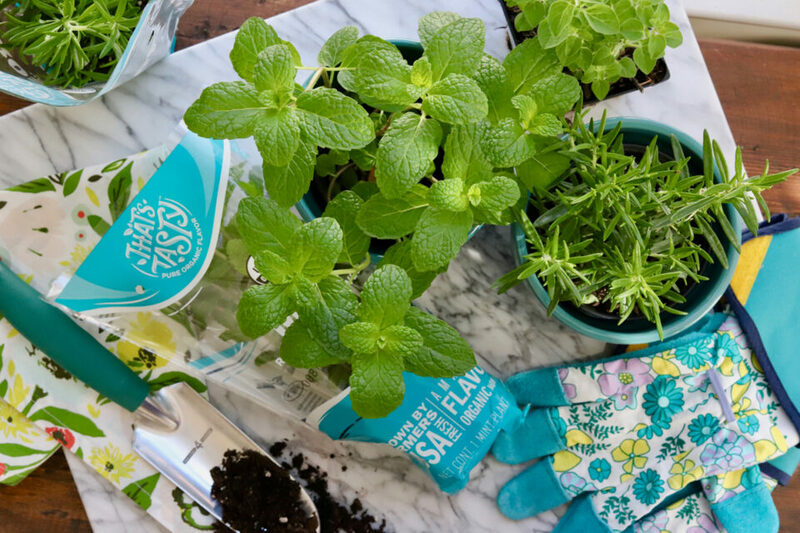 That’s the beautiful thing about having herbs in containers… they’re portable! First things first, you need to provide your living plants with high quality potting soil. Don’t grab some dirt from your backyard and call it a day – that’s not going to cut it. Your local nursery or gardening store will carry what you need. Tell one of their employees about your project and we’re sure they’ll help you pick the right bag of soil. Next is your watering schedule. Make sure to keep your plants hydrated by watering them at least two or three times a week. Aim to keep the soil moist and your plants will be happy. Finally, make sure to snip (or prune back) your plants often. 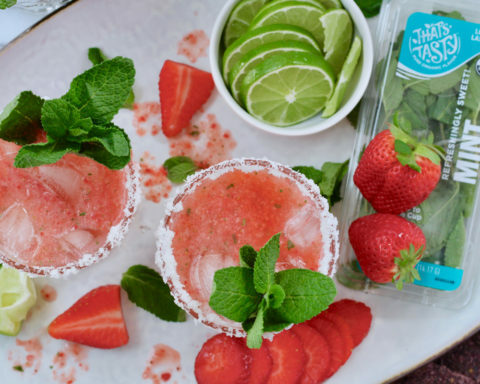 Enjoy those luscious leaves and experience the taste of spring!